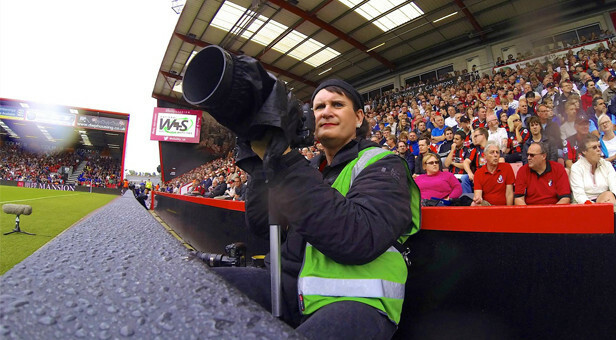 AFC Bournemouth club photographer, Sophie Cook, the first transgender woman to work in the Premier League, has been nominated for the LGBT Role Model Award at The 2016 National Diversity Awards. Sophie Cook became the first out transgender woman to work in the Premier League at the start of this season after finishing last season as Steve and returning to the Cherries in July 2015 after coming out as Sophie. Ex-Royal Air Force where Sophie was a jet engine technician on Tornados. After joining the service at 16 she saved the life of a colleague following an explosion at the age of 18. Battling Post Traumatic Stress, gender dysphoria and depression she fought self harming and suicidal feelings her entire life until transition. Having originally started to transition in 2000 she stopped the process after her son was born with a disability. Over the next 15 years Sophie suffered from suicidal feelings every single day and put on seven stone in weight due to self harming with food. Then in January 2015 she made the realisation that the only way to save her life was indeed to embrace who she truly was. Delaying coming out until after her football club had gained promotion to the Premier League for fear of distracting the team’s focus she feared that she would never work in football again. After being welcomed by players, management and fans alike for her bravery she has found that she is in a position to help others and further the cause of diversity within a sport not known for its openness. Following her story breaking in the national and international press in January Sophie has found herself much in demand as a speaker and has spoken at Wembley Stadium, Liverpool FC and a host of national conferences. She is a patron of Just A Ball Game? and the LGB&T Dorset Equality Network; a Stonewall Schools Role Model; a Healthwatch Dorset Champion; Hate Crime Ambassador for Sussex Police and a member of the Pan-Dorset LGBT Health Advisory Group. Having lost six stone since her transition she now runs half marathons and is taking part in the Brighton Marathon for LGBT Switchboard as well as having been asked to compete as a guest in two triathlons. As a professional speaker she is helping businesses to understand the positive contribution of creating an inclusive environment for their LGBT employees and clients and helping to reduce the fear of change that so often inhibits businesses and individuals ability to reach their full potential. She produces and promotes her own one woman show in which she tells her story and helps others to overcome fear and show themselves compassion. Sophie said, “I didn’t chose to be transgender but I did chose not to be a victim. “I was scared that by being true to myself that I would lose everything, the reality is that I’ve gained so much and the things that I was most scared of losing, my children, have surprised me. The National Diversity Awards 2016 in association with Microsoft will be held in Liverpool on 16 September.